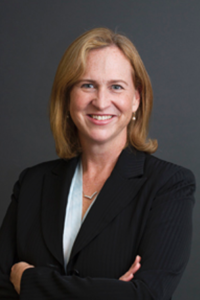 Laura K. Donohue is a Professor of Law at Georgetown Law, Director of Georgetown’s Center on National Security and the Law, and Director of the Center on Privacy and Technology. She writes on constitutional law, legal history, emerging technologies, and national security law. Her most recent book, The Future of Foreign Intelligence: Privacy and Surveillance in a Digital Age (Oxford University Press, 2016), was awarded the 2016 IIT Chicago-Kent College of Law/Roy C. Palmer Civil Liberties Prize. She also has written The Cost of Counterterrorism: Power, Politics, and Liberty (Cambridge University Press, 2008); and Counterterrorist Law and Emergency Law in the United Kingdom 1922-2000 (Irish Academic Press, 2007). Professor Donohue’s articles have been published by California Law Review, University of Chicago Law Review, Stanford Law Review, University of Pennsylvania Law Review, Harvard Journal of Law and Public Policy, and numerous other scholarly journals. In November 2015, the U.S. Foreign Intelligence Surveillance Court appointed her as one of five amici curiae under the 2015 USA FREEDOM Act. Professor Donohue is a Life Member of the Council on Foreign Relations; an Advisory Board Member of the Electronic Privacy Information Center; and Reporter for the American Bar Association’s Criminal Justice Section Task Force on Border Searches of Electronic Devices. She has served on the Board of the American Bar Association’s Standing Committee on Law and National Security and is a Senior Scholar at Georgetown Law’s Center for the Constitution. Donohue obtained her AB in Philosophy (with Honors) from Dartmouth College; her MA in Peace Studies (with Distinction) from the University of Ulster, Northern Ireland; her JD (with Distinction) from Stanford Law School; and her PhD in History from the University of Cambridge, England. Laura K. Donohue, Functional Equivalence and Residual Rights Post-Carpenter: Framing a Test Consistent with Precedent and Original Meaning, Sup. Ct. Rev. (forthcoming). Laura K. Donohue, Network Surveillance and the Fourth Amendment, 51 New Eng. L. Rev. (forthcoming). Laura K. Donohue, Public Versus Private Space: State Drone Law as the Touchstone of Reasonableness, Am. Crim. L. Rev. (forthcoming). Laura K. Donohue, Customs, Immigration, and Rights: Constitutional Limits on Electronic Border Searches, 128 Yale L.J. F. 961-1015 (2019). Amici Curiae Brief of Professors of Federal Courts Jurisprudence, Constitutional Law, and Immigration Law in Support of Respondents, Trump v. Hawaii, No. 17-965 (U.S. Mar. 30, 2018). "Has Spying Compromised the Separation of Powers and Liberty?," coverage by The Epoch Times (New York, N.Y.), January 16, 2019, quoting Professor Laura K. Donohue. "Paul, Wyden Rally Against Smartphone Border Searches," coverage by Communications Daily, July 12, 2018, quoting Professor Laura Donohue. Professor Laura K. Donohue testified before the Senate Subcommittee on Federal Spending Oversight and Emergency Management hearing on Examining Warrantless Smartphone Searches at the Border, July 11, 2018. "Committee Examines Border Patrol’s Phone Searches," coverage by Courthouse News Service, July 11, 2018, referencing Professor Laura Donohue's Senate testimony.